Stop by the N.C. 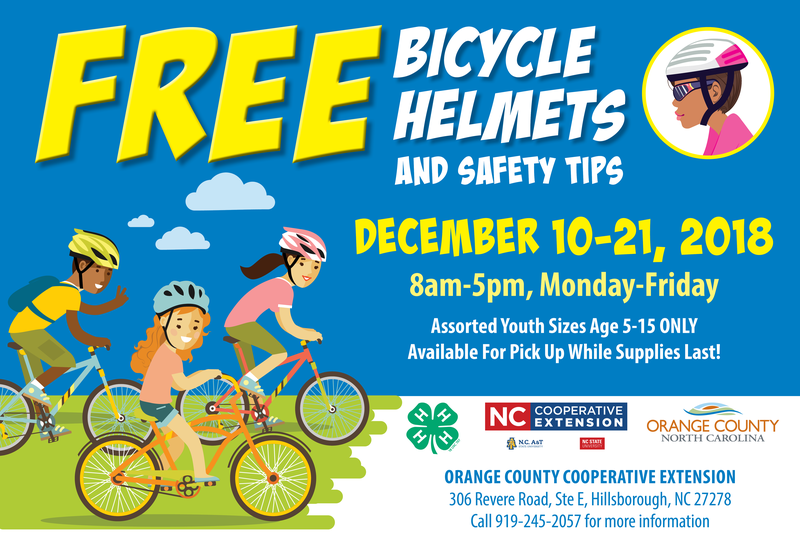 Cooperative Extension, Orange County Center between December 10-21, 2018, to pick up a helmet to go with that new bicycle or scooter you may have purchased for your child for the holidays. Safety is important. In 2010, fatal and non-fatal crash-related injuries to bicyclists resulted in lifetime medical costs and productivity losses of $10 billion (Source: Centers for Disease Control, 2017).